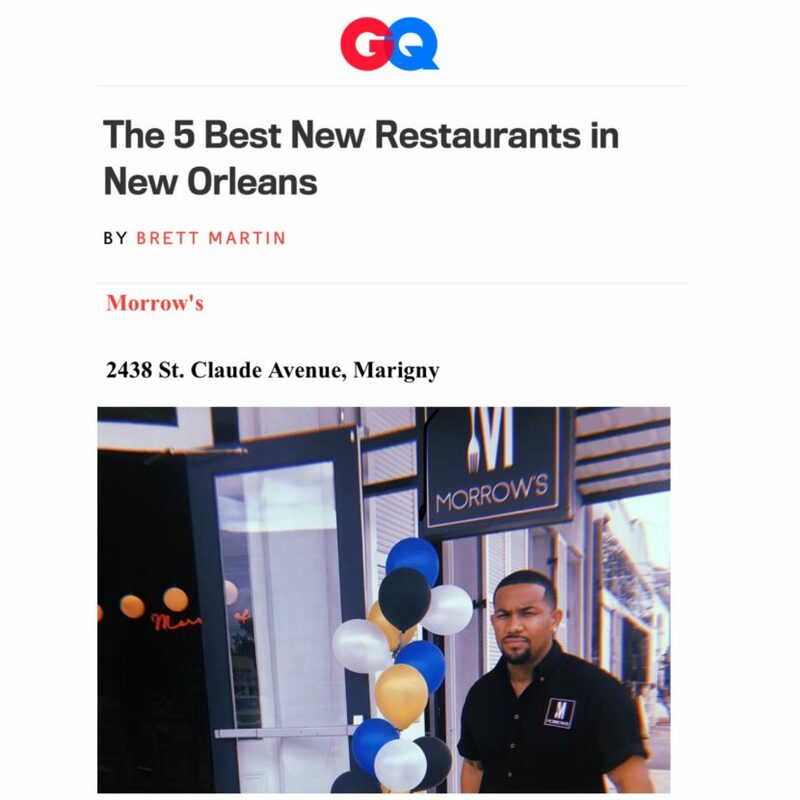 Brett Martin, GQ‘s chief food critic and NOLA resident, went in search of the nation’s best new restaurants. Then he came back home only to find that, in the meantime, his favorite city had spawned some his favorite new places to eat. Larry Morrow is a man not shy about his own name: His local events promotion company is called Larry Morrow Events; his book, All Bets On Me: The Risks and Rewards Of Becoming an Entrepreneur is published by Larry Morrow Publishing; and the neon script letters hanging above the bar at the stylish new restaurant that he recently opened in the Marigny read “The Morrow of the Story….” But the kitchen belongs to Morrow’s mother, Lenora Chong, and she turns out a fine selection of New Orleans soul food: head-on barbecue shrimp; fried oysters, catfish, shrimp and soft-shell crab piled into a tower called the “Just Watch”; a rich and ruddy crawfish etouffee—along with a handful of Korean dishes. Kick things off with a sizzling plate of chargrilled oysters that taste of smoke, butter, and brine.